The Monday Blues are the worst but the masters in creating deliciously-filled circular-shaped baking goods have the perfect cure as the first themed hole in the wall has launched in London. The sweet-treat experts have even created a brand-new flavour for the special occasion and all proceeds go to charity.​ Count us in. 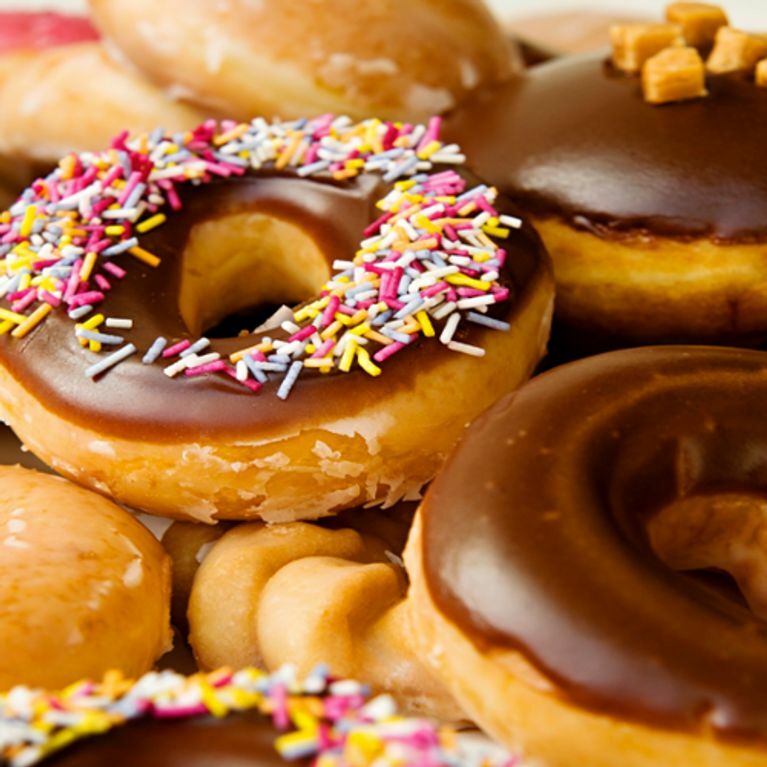 Krispy Kreme have answered all of your sweet dreams, quite literally, as this morning from 8am commuters and tourists alike in Central London can purchase their baked goodies without any human interaction. The American doughnut company have created the perfect solution to the Monday Blues as they’ve installed the first UK-based hole in the wall - an ATM which dispenses the limited edition Nutty Chocolatta doughnuts for the reasonable price of £2. ​This latest creation is filled with the nation’s favourite chocolate spread - Nuttella - and can be bought from the themed hole in the wall which is located in High Holborn, across the road from Holborn Underground station. ​All proceeds will be donated to Teenage Cancer Trust which gives you even more of a reason to pay the attraction a visit. Will you be using the doughnut ATM? Tweet us @sofeminineUK! ​Krispy Kreme’s Hole in The Wall is open daily from 8am-8pm, from May 9th until 22nd.